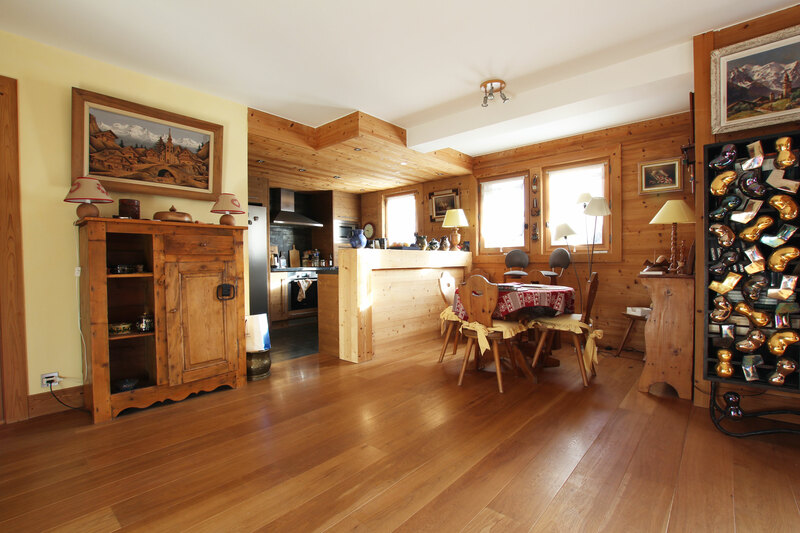 Double aspect apartment in a small modern chalet of just 5 apartments, in quiet, private setting, close to the centre of the historic alpine village of Combloux. 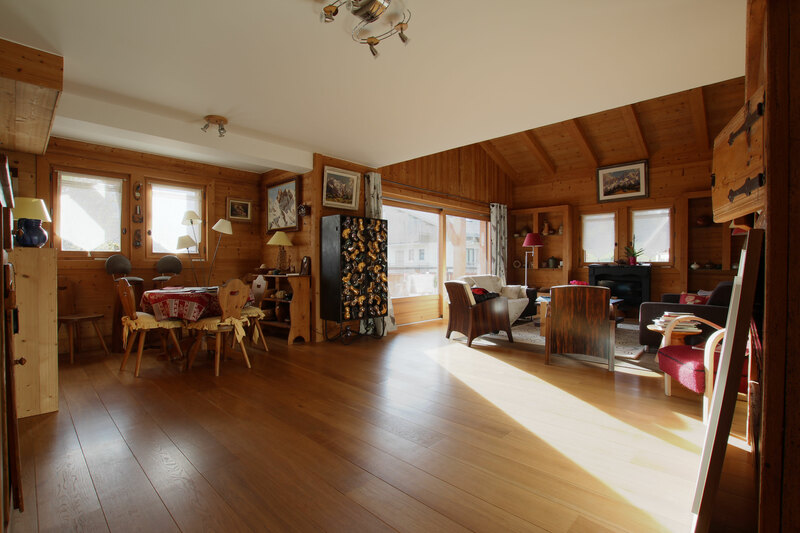 On the second floor, the apartment is made up as follows; large living room measuring approximately 50m2, with open plan kitchen, larder, master bedroom with ensuite bathroom, bedroom with ensuite shower & wc, third bedroom with ensuite bathroom & wc, guest wc, ample storage & cupboards. 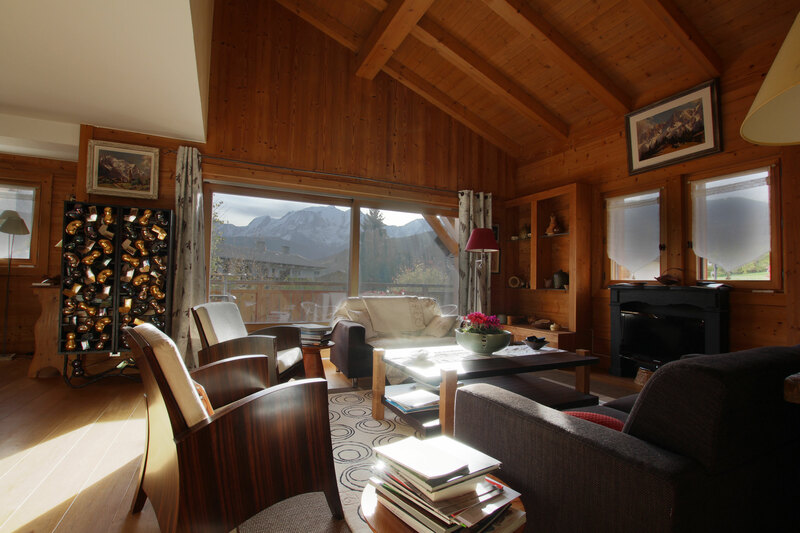 The property opens onto a South facing terrace, with open views of the Mt Blanc massif. 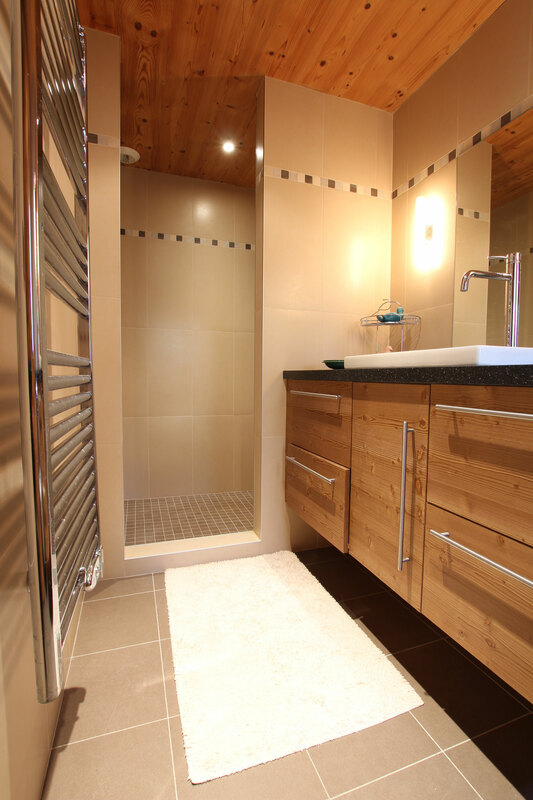 The property is sold with a double garage, exterior parking space, Cave, ski locker & additional external cupboard. Great view of Mt Banc, Attractive well kept building, Three bedrooms, village centre location, low buildings charges. 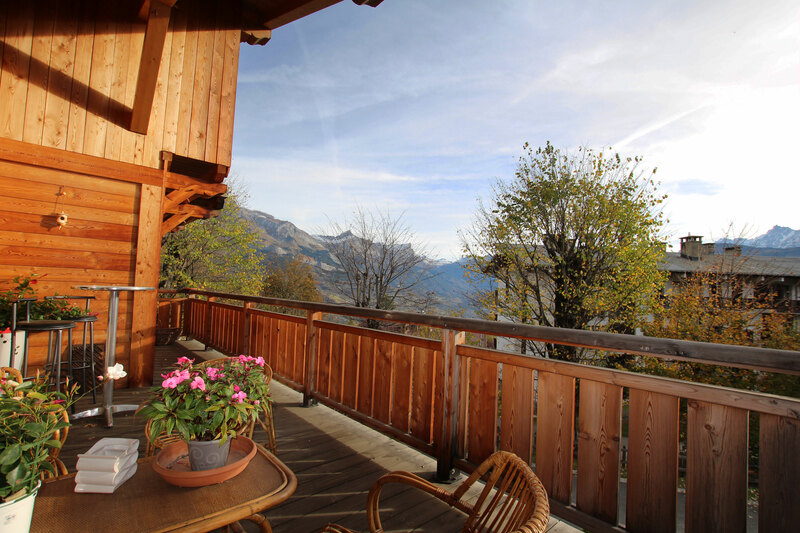 Known as the "pearl of Mont Blanc", Combloux village is a pretty Alpine village nestled in the hills with lots of sunshine, and incredible views of the Mont Blanc massif. 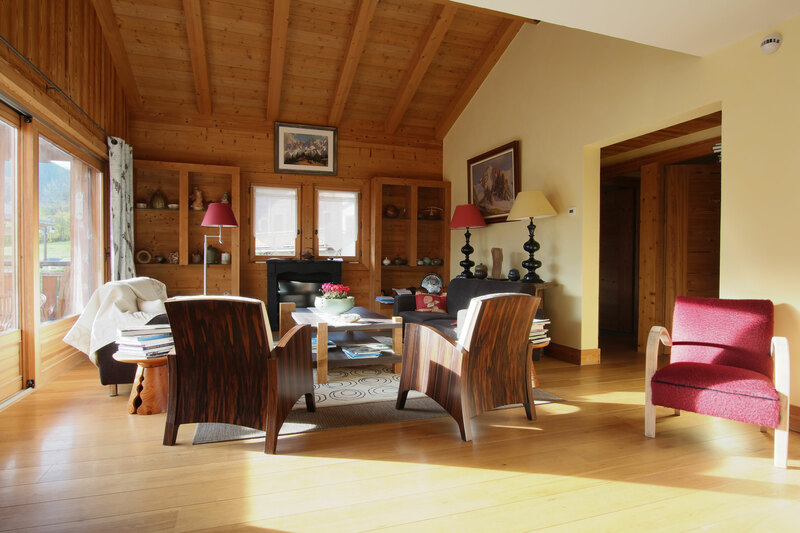 Located just 4km from Megeve, 30kmfrom Chamonix and an easy hours drive from Geneva. The village is dominated by the beautiful church tower and dome. There are a selection of shops and restaurants, as well as a number of small traditional hotels. 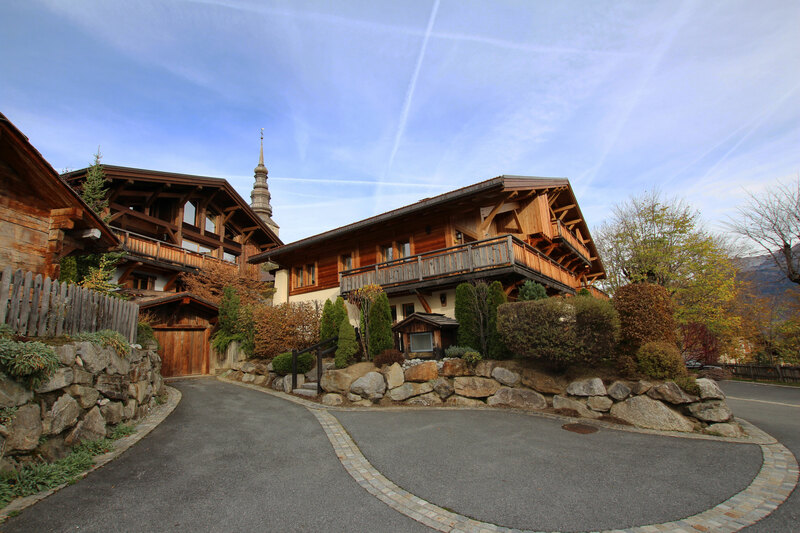 The short transfer from Geneva airport, proximity to Megeve and Chamonix, make Combloux an appealing location for a holiday home in the mountains. The ski area of 'Les Portes du Mont Blanc' is accessed from La Cry above the village, and links to Jaillet in Megeve and Giettaz in the Aravis mountains. The skiing is extensive and varied with plenty of options for the beginner to the advanced skier alike, with a large number of authentic traditional family run restaurants. Combloux ski area forms part of the 445km of pistes of the Evasion area, with unrivalled views of Mt Blanc and the surrounding mountains. 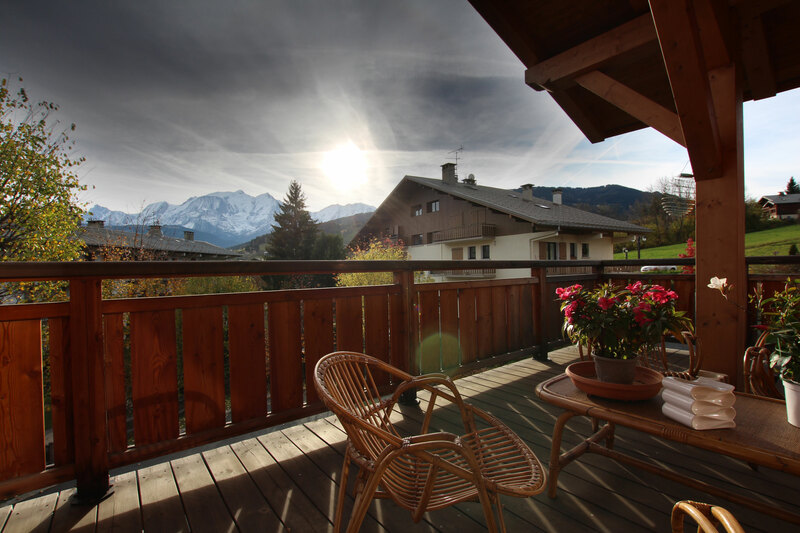 In summer, the area is growing in popularlity for Mountain biking, walking, and road biking, with access to a huge area, all with the breathtaking backdrop of Mont Blanc, high mountains and glaciers. There is also an open air 'bio' swimming pool, which is a popular destination on sunny summer days.